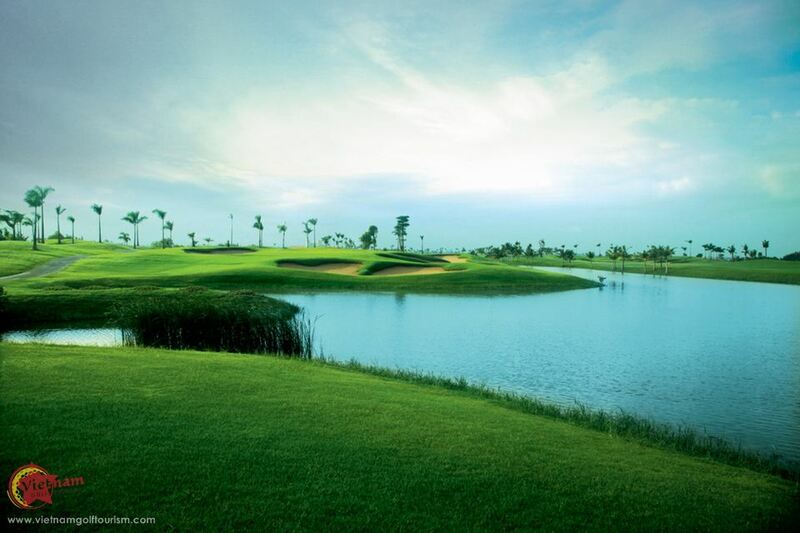 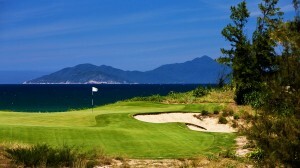 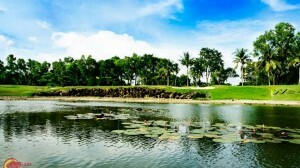 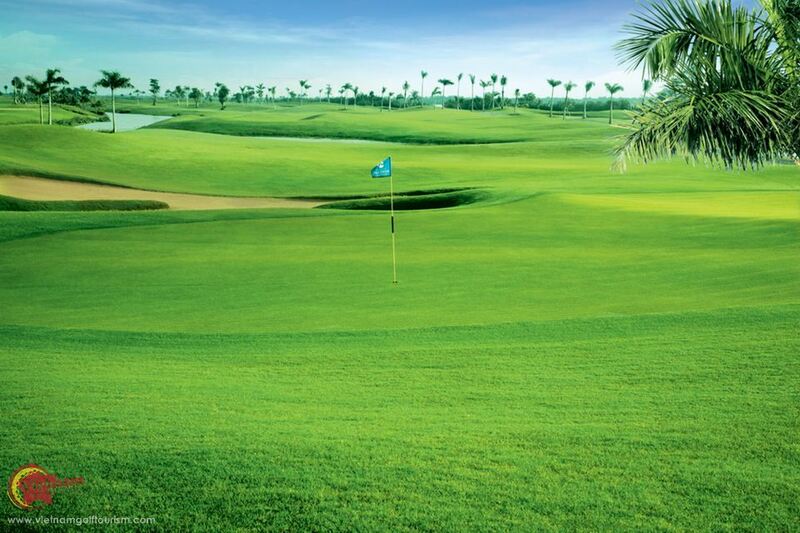 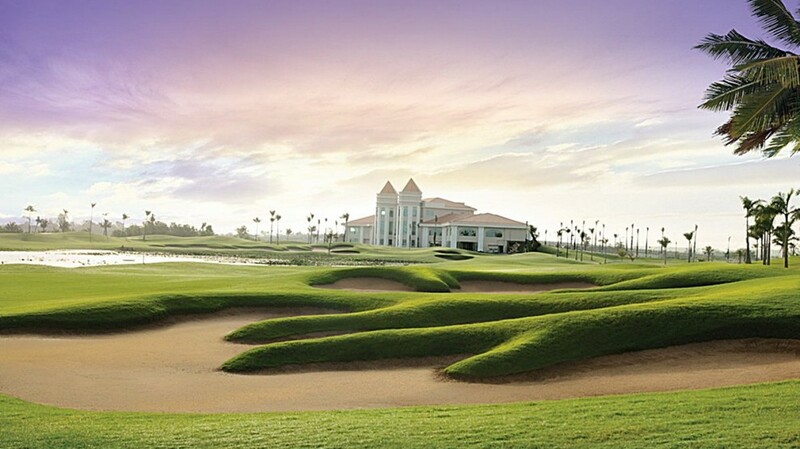 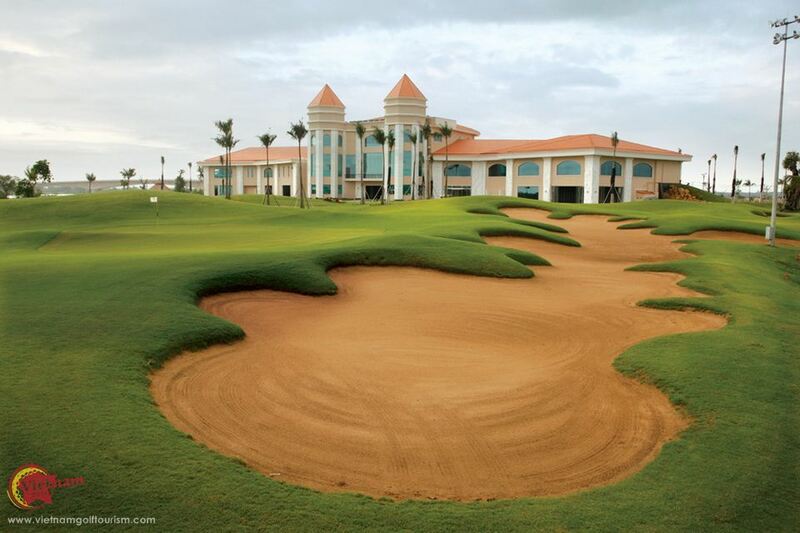 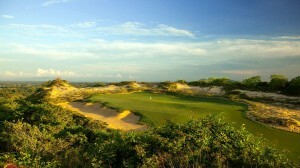 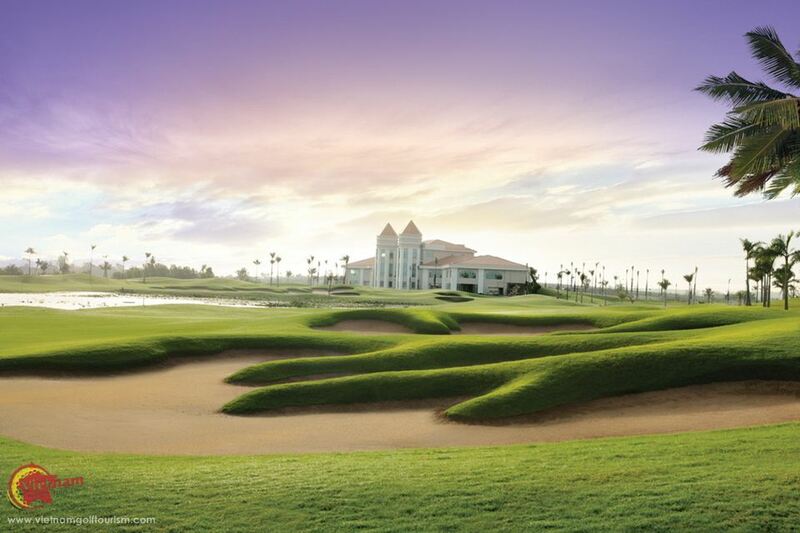 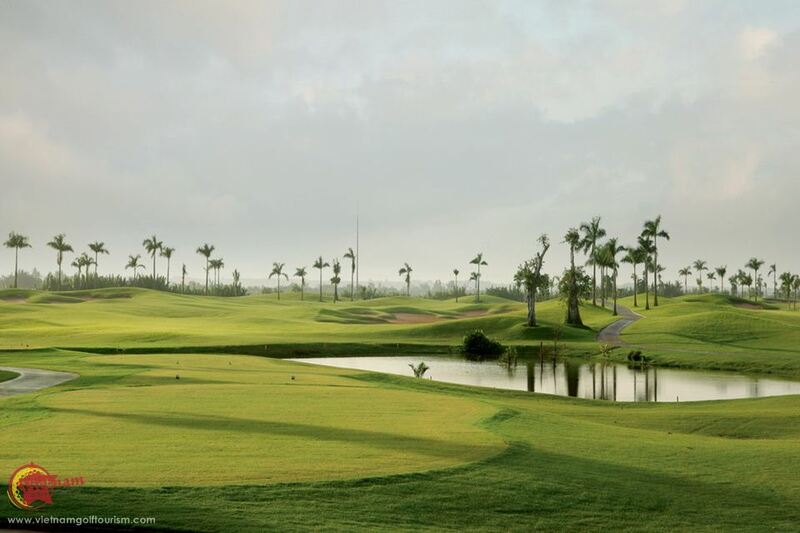 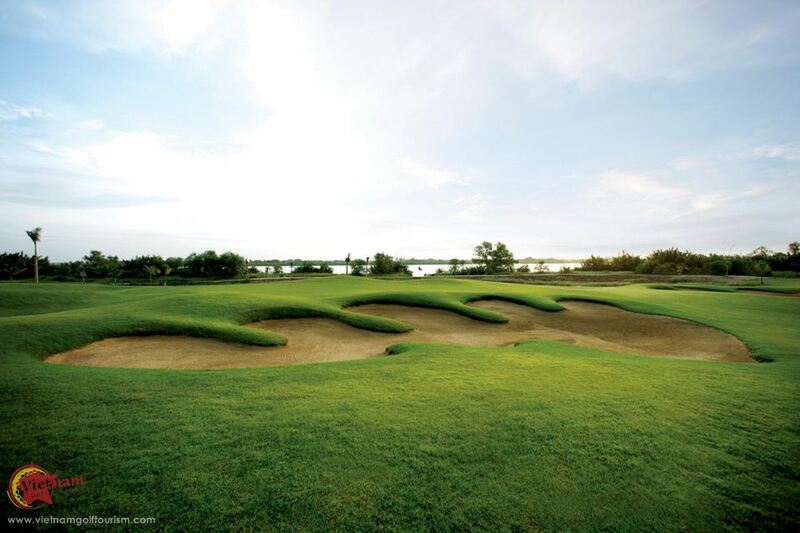 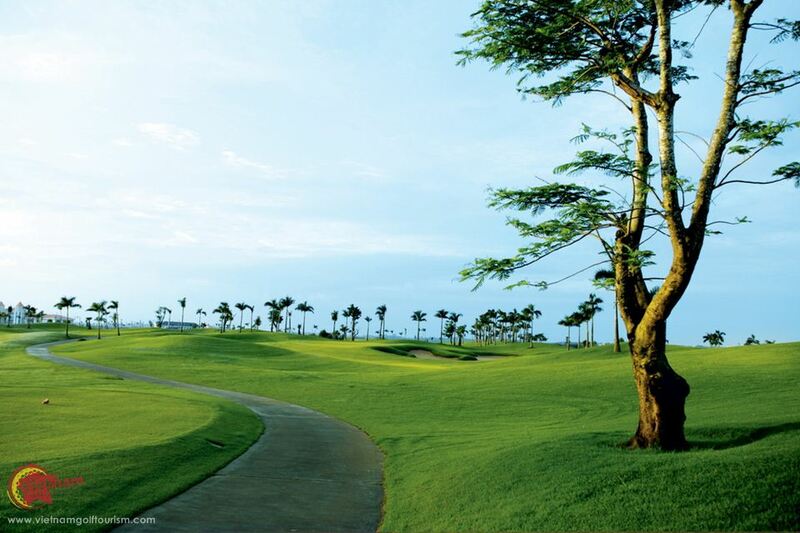 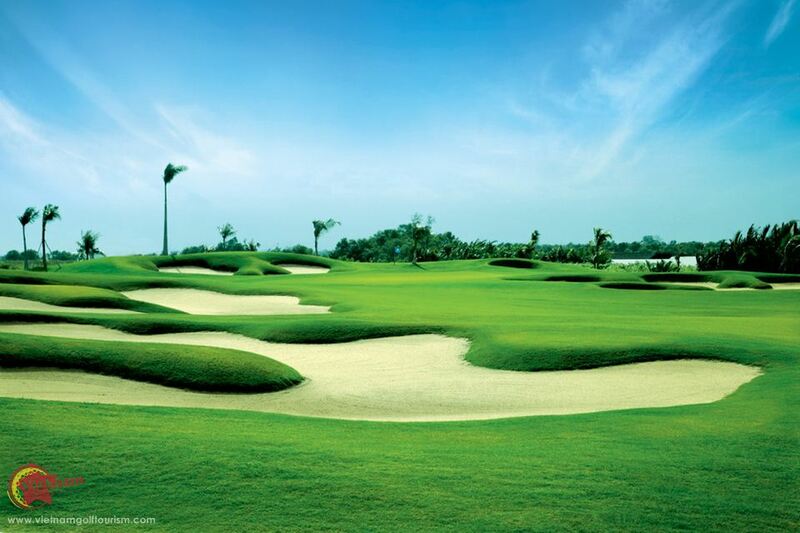 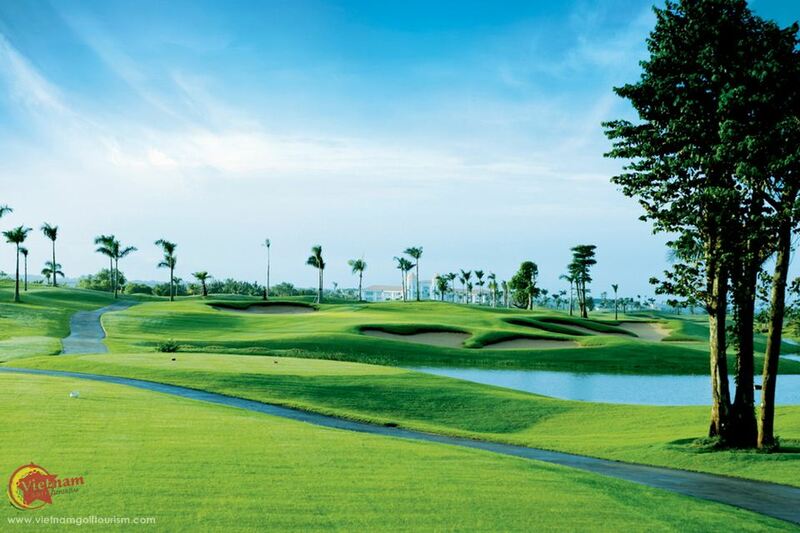 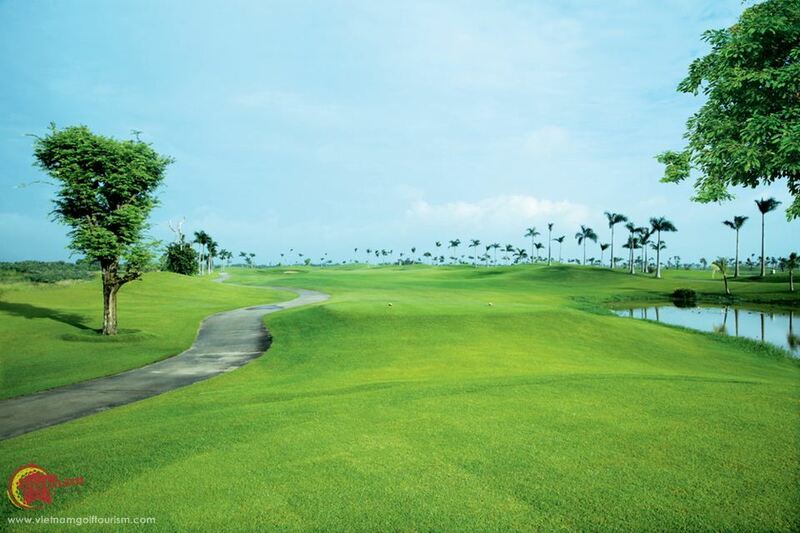 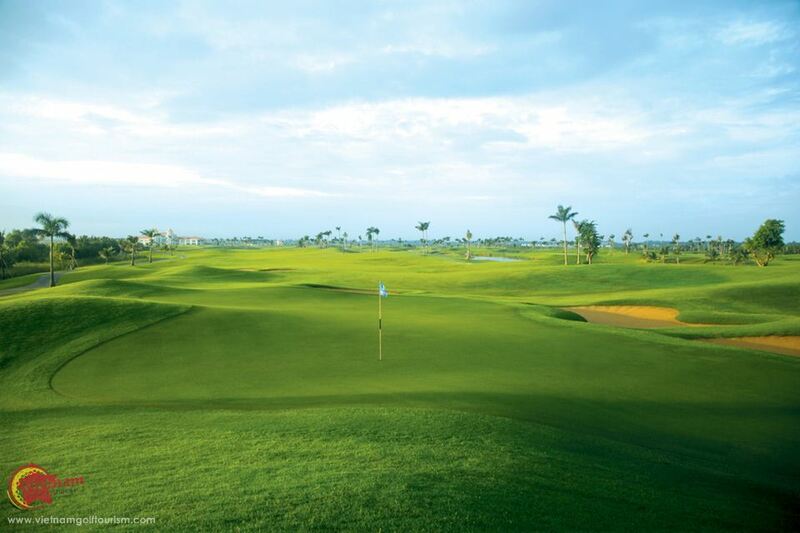 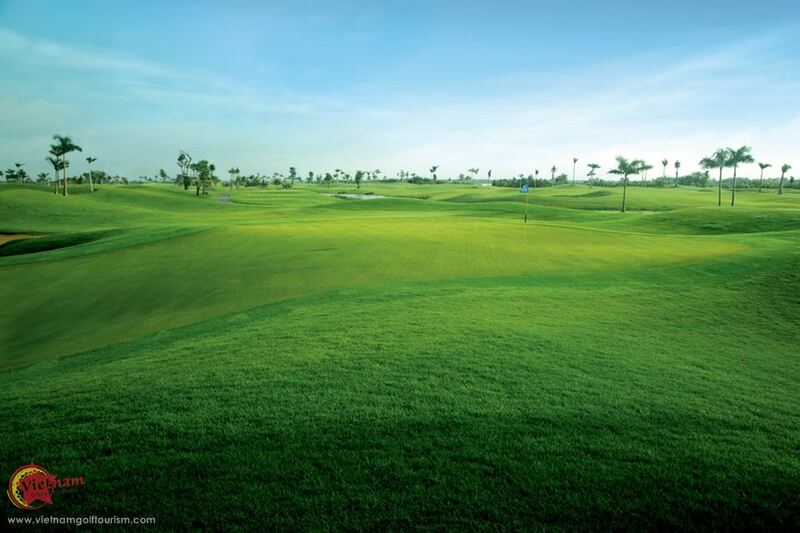 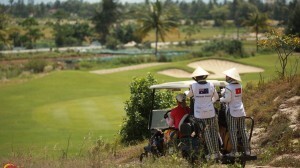 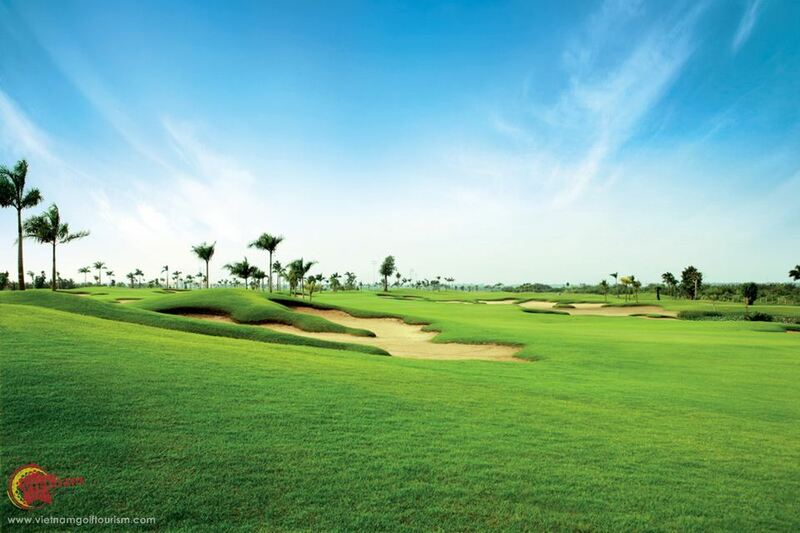 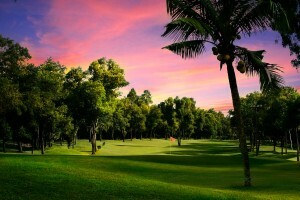 Located on its own island in the Saigon River, it takes around 90 minutes to drive to this 18 hole Korean owned golf course, which was created in 2012 by American Ron Fream’s Golf Plan company. 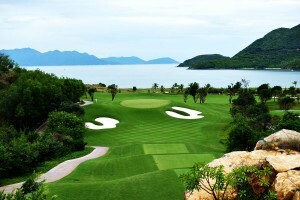 The final part of your trip includes a short speed boat ride out to the island…..all part of the experience! 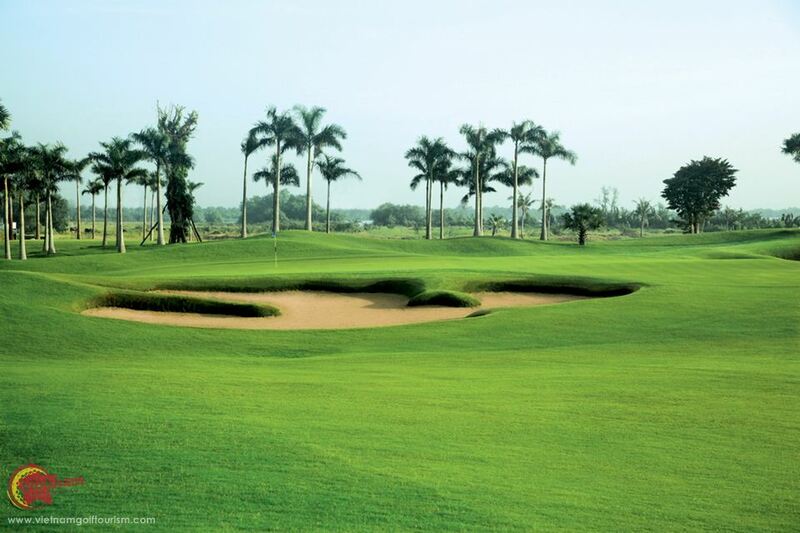 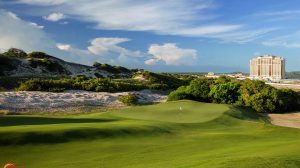 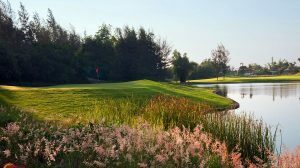 At 7,500 yards its length along with many bunkers throughout the fairly flat layout , makes these attractive 18 holes a challenge even for many professional players. 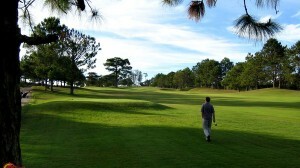 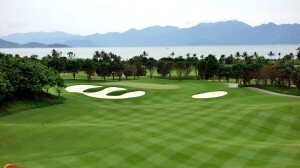 They have used Paspalum on the fairways allowing for a very good playing surface. 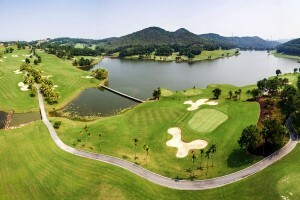 Their front nine holes called The Sun Course, plays alongside the river with some stunning views and the back nine are named The Moon Course. 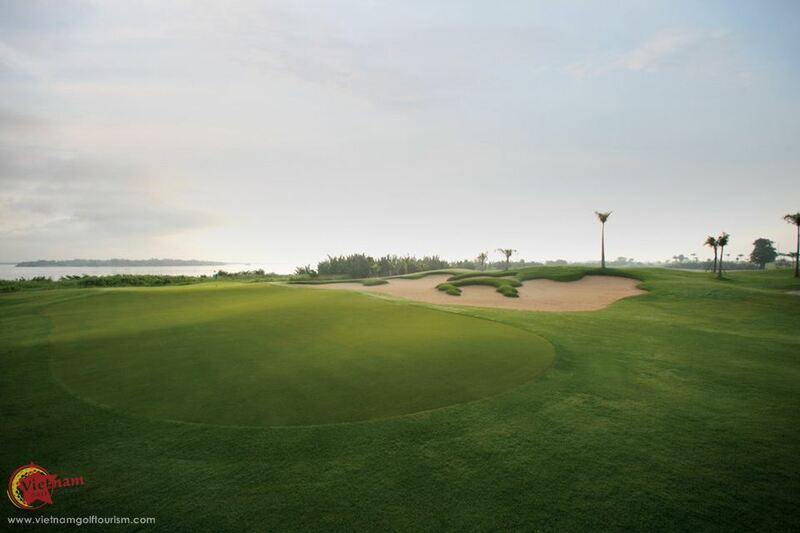 The club’s signature holes 9 and 18, play up to the club house and both share a bunker between the 9th green on the left and the 18th on the right. 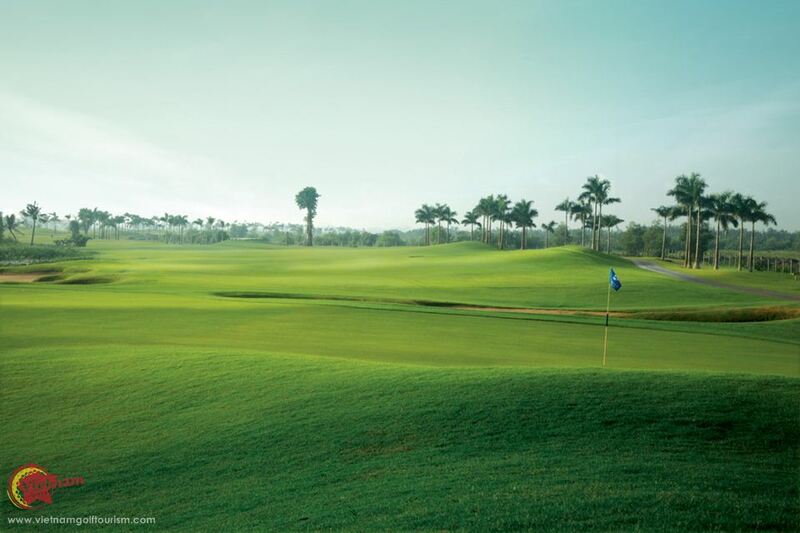 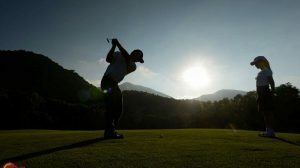 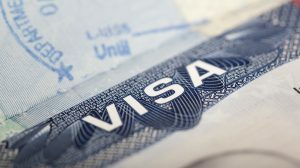 Their huge clubhouse has a luxury lobby, a spacious pro shop with all the leading brand names and well laid out locker rooms, two restaurants serving local and Korean food plus there is an outside deck with breath taking views and refreshing breezes.  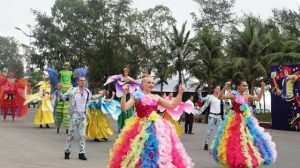 Another speedier and fun way to get here is to take the speed boat from Ho Chi Minh’s pier in district 1 This route only takes around 30 minutes and so let us arrange everything for what will be a very enjoyable and memorable round of golf in Saigon.